Dr. Mark Groh of Mission Hospital is the Highest Volume Physician in North Carolina Across ...	.
A recent Dexur study of Medicare inpatient claims data from CMS indicates that Dr. Mark Groh of Mission Hospital in Asheville performed the most cardiac valve and cardiothoracic procedures out of all North Carolina physicians with 470 discharges between 2013-2016. Dr. Groh was the only physician in the state with more than 400 discharges during the time period. Three physicians from Duke University Hospital in Durham ranked 2nd through 4th. Dr. George C. Hughes ranked 2nd with 383 discharges, Dr. Donald D. Glower ranked 3rd with 356 discharges, and Dr. Jeffrey G. Gaca ranked 4th with 328 discharges. Dr. Barry Chan of Novant Health Presbyterian Medical Center in Charlotte ranked 5th with 266 discharges. Physicians were included in the analysis if they accounted for 11 or more cardiac valve or cardiothoracic discharges as the operating physician between January 2013-2016. The national discharge volume for the 6 different cardiac valve and cardiothoracic diagnosis related groups came to 240,817 discharges over the analyzed time period. This including 7,085 discharges from North Carolina Medicare enrollees. 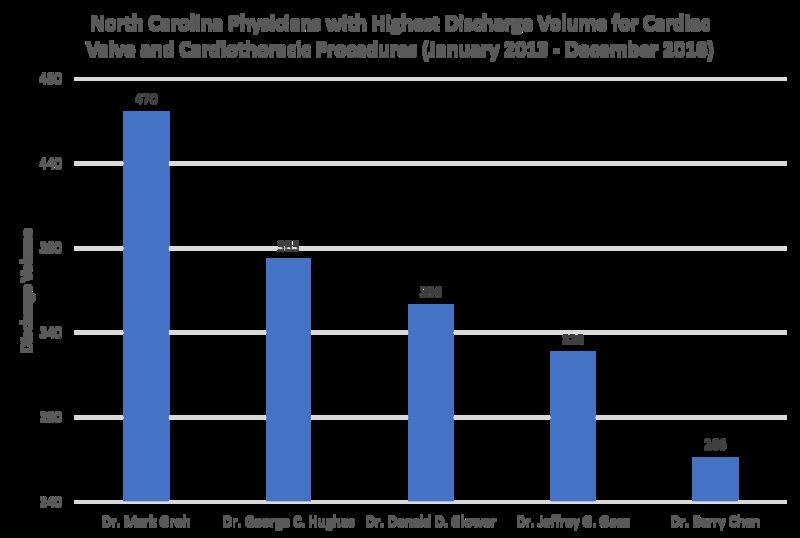 Along with accounting for the highest overall discharge volume, Dr. Groh also led the state in volume for two specific cardiac valve and cardiothoracic DRGs. Dr. Groh was one of only four physicians to account for 11 or more DRG-216 (Cardiac Valve And Other Major Cardiothoracic Procedures With Cardiac Catheterization With Major Complication or Comorbidity) discharges, leading the four physicians with 75 discharges. Interestingly, the 2nd ranked Dr. Alan M. Johnson and 3rd ranked Dr. Oliver Binns also practiced at Mission Hospital. Dr. Groh was also one of only two physicians in the state to account for 11 or more DRG-217 (Cardiac Valve And Other Major Cardiothoracic Procedures With Cardiac Catheterization With Complication Or Comorbidity) discharges and led with 128 procedures. The only other DRG within cardiac valve and cardiothoracic that involves cardiac catheterization is DRG-218 (Cardiac Valve And Other Major Cardiothoracic Procedures With Cardiac Catheterization Without Complication or Comorbidity/Major Complication or Comorbidity), for which no North Carolina physician accounted for 11 or more discharges. Jeffrey Maser is an analyst. He truly loves working with numbers and enjoys the challenge of turning healthcare data into a resource that real patients can use to help make important decisions. Jeff's passion for data will serve him well in his quest to become the top mind in Fantasy Hockey. 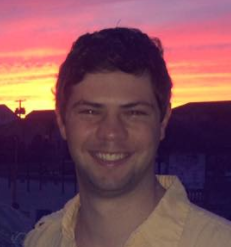 He previously worked at Truven Health Analytics, now a part of IBM Watson Health, and is a graduate of Brandeis University.